As a graduate student earning her Master of Social Work (MSW) degree, Denise Levy, PhD, watched several friends struggle to reconcile their gay identities with their Christian backgrounds. That experience led the aspiring professor to reflect on her own faith and sparked her academic research on how people resolve conflicts between religious beliefs and sexual orientation (Levy, 2011). Today, Levy is one of many professors helping Christian social work students connect the dots between their religion and the way they approach lesbian, gay, bisexual, transgender, and questioning (LGBTQ) clients. Addressing the potential impact of religion head-on encourages students to reflect on their unique social identities, while engaging them in larger debates about power, privilege, and oppression. Educators also use potential conflict between Christian beliefs and attitudes toward the LGBTQ community to reiterate the field's Code of Ethics (National Association of Social Workers, 2008), which calls on social workers to promote clients' right to self-determination and to prevent and eliminate discrimination. "People have the freedom to practice whatever religion they choose, but that doesn't give them license to harm or restrict other people," says Adrienne Dessel, PhD, a lecturer at the University of Michigan School of Social Work. Dessel is the coeditor of Conservative Christian Beliefs and Sexual Orientation: Privilege, Oppression, and the Pursuit of Human Rights. The 2014 volume offers multiple viewpoints on the debate between freedom of religious expression and full affirmation of sexual orientation, along with ideas for reducing conflict between the two. Of the four chapters written or cowritten by Dessel, two focus on intergroup dialogue—a pedagogical approach in which instructors facilitate conversations between two or more groups of students with a history of social conflict (Dessel, 2014). The technique plays a significant role in "Dialogue Facilitation for Diversity and Social Justice," an MSW-level course Dessel teaches with a colleague. Students enrolled in that course reflect on their own social identities in areas such as gender, sexual orientation, religion, and faith, and explore how those identities shape their inherent beliefs and behaviors. Students then divide themselves into two-person teams, each of which facilitates a classroom discussion on a complex subject like heterosexism or faith-based oppression. Participating in intergroup dialogues challenges students to observe the way they interact with others, Dessel says, and to address how those patterns may influence their social work practice. Facilitating those conversations, meanwhile, teaches students to build relationships, take perspective, and negotiate conflict in challenging environments. "In order to learn, they need to move outside of their comfort zone," she says. Twelve hundred miles away at the University of Denver, MSW students participate in a modified form of intergroup dialogue in which they're assigned to a "single-identity caucus" based on a specific type of privilege. Students initially meet with members of their caucus to talk about their shared characteristic—identifying as heterosexual, for example—and any struggles they have acknowledging its impact. Individual groups then come together for "cross-privilege dialogues" to examine the similarities and differences of their respective privilege and how they can engage in ally behaviors (Walls, Roll, Sprague, & Griffin, 2010). According to associate professor N. Eugene Walls, PhD, many of his students who identify as Christian have shied away from anti-LGBTQ teachings more typically affiliated with conservative denominations. Regardless of where they fall on the religious spectrum, students benefit from understanding the privilege tied to Christianity and that they're not alone balancing their faith against their duty as social workers. "One of the things I try to do is to get students to understand that there's not one group—be it evangelical Christian students, radical left-wing students, atheists—that doesn't struggle with the issue of getting our own personal beliefs out of the way," he says. To accomplish this, Walls often shares difficult examples from his own social work practice—the way he might advise a pregnant teenager who doesn't believe in abortion, for example, despite his personal belief in a woman's right to choose. Over at Appalachian State University, Levy encourages students to set aside a few minutes before and after client sessions to reflect on their intentions and the potential impact of power and privilege. She suggests a number of questions to incorporate into those self-reflections, including: "What did my client(s) say that I agreed or disagreed with during the meeting?" and "Will further consultation and/or supervision be helpful?" Balancing one's faith and professional responsibilities is important not only for serving LGBTQ clients effectively, but also for meeting the field's core competencies and ethical mandates. Walls points to the Code of Ethics' call for social workers to understand, avoid, and strive to eliminate discrimination (Preamble, Standards 4.02 and 6.04). He begins exploring these themes on the first day of class to help students integrate a social justice perspective into their burgeoning research and practice. In a similar vein, Levy invites students to reflect on concerns working with specific populations, including LGBTQ clients, within the context of the Core Competencies and Practice Behaviors. That framework includes a call to engage diversity and difference in practice (Competency 4), in part by gaining enough self-awareness to reduce the influence of personal bias (Council on Social Work Education, 2012). Levy also highlights the Code of Ethics' section on cultural competence and social diversity, which states that, "social workers should have a knowledge base of their clients' cultures and be able to demonstrate competence in the provision of services that are sensitive to clients' cultures and to differences among people and cultural groups" (Standard 1.05). To help facilitate that knowledge, Levy introduces students to a range of identity models and frameworks, including Cass' (1979) gay and lesbian identity development model, transgender identity development, and queer theory. She also provides supplemental readings and resources to students who approach her wishing to be more culturally competent, including several Christian students who have gone on to volunteer for the university's LGBT Center. What are students to do, however, when educators provide different interpretations of the field's ethical guidelines? Take the Code of Ethics' section on referrals, which advises social workers to refer clients when they feel they're not being effective or when other professionals possess specialized knowledge or expertise (Standard 2.06). For some, this advice opens the door for Christian social workers to refer LGBTQ clients when they think that referral serves the clients' best interests. But Levy again points to the call for cultural competence, which she believes requires social workers to set aside their personal beliefs rather than refer clients whose beliefs don't align with theirs. Interestingly, it's the Code of Ethics' call to avoid discrimination on the basis of both religion and sexual orientation that helped inspire Dessel to compile Conservative Christian Beliefs and Sexual Orientation. This dual inclusion has provoked a range of viewpoints across the field, including the belief that Christian social work students can express their criticism of homosexuality under religious freedom of speech (Hodge, 2005). But some Christian scholars assert that it's the misinterpretation of religion, not the religion itself, that leads to prejudice against LGBTQ communities (Brice, 2014; Drumm, Wilder, Nogales Baker, Souza, Burgess-Robinson, & Adams, 2014). Social work ethics researcher Frederic G. Reamer, PhD, draws a line between belief and action. Students have a right to believe that certain forms of sexual orientation, gender identity, and gender expression are immoral. They don't have a right to discriminate against or disrespect clients based on these beliefs or to express themselves in the classroom in ways that violate other students or faculty (Reamer, 2014, pp. 251-252). Understanding these different viewpoints is important, Dessel says, because it helps social workers understand it's possible to both exercise religious freedom and be affirming of LGBTQ individuals. Educators can incorporate these debates into course curriculums and create an academic environment that upholds the field's dedication to self-determination and social justice for all. "It's possible for educators to support both [Christians and LGBTQ] groups in understanding each other's perspective and working together toward equity and justice," she says. Read more about Conservative Christian Beliefs and Sexual Orientation in Social Work by visiting the CSWE Press online at www.cswe.org/Publications/CSWEPress.aspx. — Joelle Ruben, MSW, is a Swarthmore, PA-based freelance writer. Brice, T. S. (2014). Is homophobia a conservative Christian value? In A. B. Dessel, & R. M. Bolen (Eds. ), Conservative Christian beliefs and sexual orientation in social work: Privilege, oppression, and the pursuit of human rights. (pp. 257-271). Alexandria, VA: CSWE Press. Council on Social Work Education. (2012). Education policies and accreditation standards. Alexandria, VA: CSWE. Dessel, A. B. (2014). Bridging the conservative Christianity and sexual orientation divide: A review of intergroup dialogue pedagogy and practice. In A. B. Dessel. & R. M. Bolen (Eds. ), Conservative Christian beliefs and sexual orientation in social work: Privilege, oppression, and the pursuit of human rights (pp. 313-343). Alexandria, VA: CSWE Press. Drumm, R., Wilder, K., Nogales Baker, E., Souza, L., Burgess-Robinson, Z., & Adams, J. (2014). "Jesus didn't say anything in the Bible about gay people": Understanding pathways to Christian social work LGBT advocacy. In A. B. Dessel, & R. M. Bolen (Eds. ), Conservative Christian beliefs and sexual orientation in social work: Privilege, oppression, and the pursuit of human rights. (pp. 289-309). Alexandria, VA: CSWE Press. Hodge, D. (2005). Epistemological frameworks, homosexuality, and religion: How people of faith understand the intersection between homosexuality and religion. 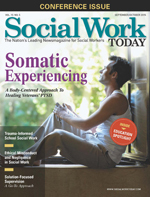 Social Work, 50(3), 207-218. Levy, D. L. (2011). Journeys of faith: Christian social workers serving gay and lesbian clients. Social Work and Christianity, 38(2), 218-227. Reamer, F. G. (2014). Ethical issues and challenges: Managing moral dilemmas. In A. B. Dessel, & R. M. Bolen (Eds. ), Conservative Christian beliefs and sexual orientation in social work: Privilege, oppression, and the pursuit of human rights. (pp. 233-254). Alexandria, VA: CSWE Press. Walls, N. E., Roll, S., Sprague, L., & Griffin, R. (2010). Teaching about privilege: A model combining intergroup dialogue and single identity caucusing. Understanding and Dismantling Privilege, 1(1), 1-32.